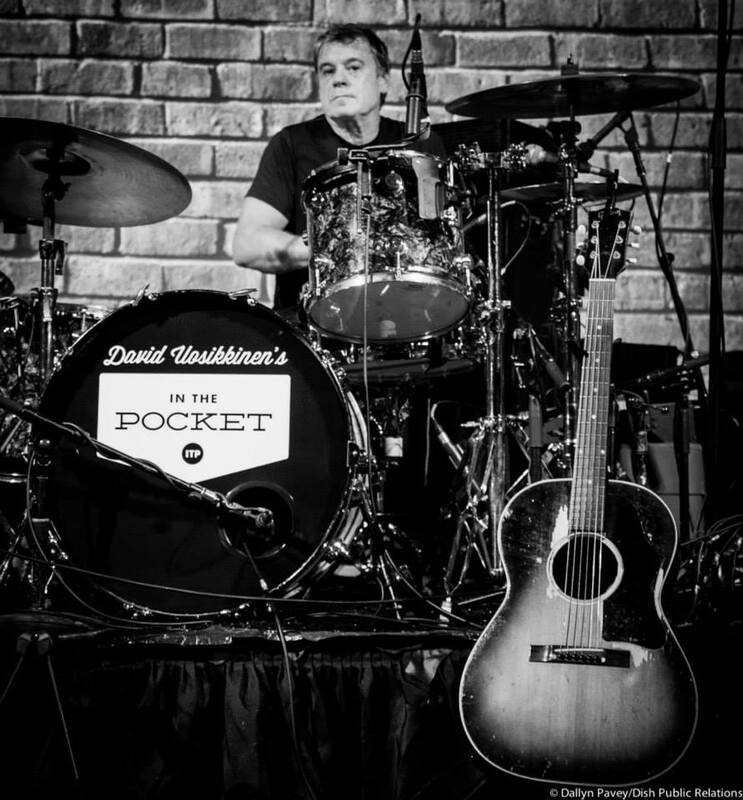 Drummer, David Uosikkinen is one of the founding members of the Hooters, along with band mates Eric Bazilian and Rob Hyman. The band’s first CD Nervous Night introduced music fans to his signature drum tracks on “All You Zombies”, “And We Danced” and “Day by Day”. David has also recorded on many of the band members solo and side projects. During his career with the Hooters, he’s been part of some of the most culturally significant concerts of our time, including The Live-Aid Concert, Philadelphia in 1985, Amnesty International Concert at Giants Stadium in 1986, and Roger Waters’ extravaganza, The Wall in Berlin in 1990. In addition to his work with The Hooters, David has recorded and performed with artists such as Patty Smyth, Taj Mahal, Alice Cooper, Rod Stewart and countless others. In 2009, David created David Uosikkinen’s In The Pocket. Uosikkinen’s ambitious and always musically tasty IN THE POCKET project, brings together all-star Philly musicians to cover classic Philadelphia tunes. The revolving lineup of the city’s most celebrated musicians perform a non-stop, rock ‘n roll revue of Uosikkinen’s Essential Songs of Philadelphia. A portion of the proceeds benefits Settlement Music School.